Allegra Boverman/Gloucester Daily Times. 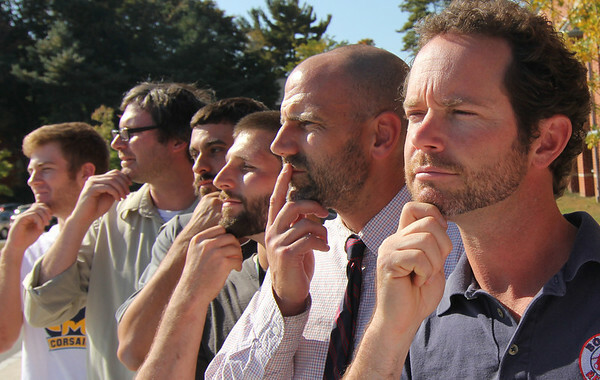 The beards of Manchester Essex Regional High School. From right to left are: David Alger, math teacher, Robbie Bilsbury, foreign language teacher and boys tennis and soccer coach, Thomas Durfee, physical education teacher, Bryan Shields, special education teacher, James Wallimann, social studies teacher, and senior Liam Logue.